Spin Fiesta has arrived into the gaming world, so it’s officially time to party. 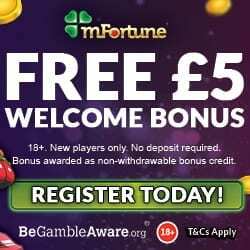 If you’re anything like us at Phone Bill Casino you’ll have three musts for your casino sites, one that they offer incredible gaming, two there’s plenty of bonuses and three obviously is pay by phone bill. Spin Fiesta ticks all of these boxes and more, with their easy to use responsive theme. When it comes to games you’ll have plenty of choice, because Spin Fiesta has table casino, live casino, scratch cards, progressive jackpots and slots such as Spectra and Motorhead. A large number of these games are available on your mobile and tablet devices, so if you’ve never tried gaming on the go now’s the time. What better way to eradicate any boredom from your life and who knows what you could win! 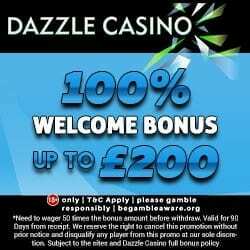 The bonuses start on Spin Fiesta when you make your first deposit, because you’ll receive a 100% cash match bonus on amounts between £10 and £200. 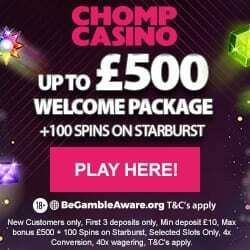 This means that you could double your money, so even if you added the minimum £10 you can begin gaming with £20. Game of the Day – Simply by depositing, you’ll have the chance to enjoy the Spin Fiesta game of the day. An email will be sent on the Wednesday confirming the name of the chosen slot and how many spins you have. Just make sure you enjoy those spins, because they are only valid for that day. Monday Madness – Fancy some extra credit to brighten your Monday? For your 1st deposit quote code MONDAY and you’ll receive 100% cash match bonus up to £50. It doesn’t end there because Spin Fiesta will even give you a 50% bonus on your 2nd deposit up to £100, with code MADNESS. Weekly Bonus Surprise – As you check your bankroll, you may see it suddenly rise. This is because Spin Fiesta love to reward their players, so if you’ve deposited in the last week who knows what you’ll get! Cash Back Thursday – Add a minimum £30 on a Thursday and inform the support team by email, then you’ll get 10% back into your account. You don’t have to wait to be invited to be a VIP, because everyone is special at Spin Fiesta. Their VIP Club has five levels which include bronze, silver, gold, platinum and diamond. To move through the levels you simply collect points, with every £16 wagered earning you 1 point. Each level offers bigger and better rewards such as personalised gifts and a birthday bonus. To access support from a representative simply head over to live chat or you can email them. If you have a general query then there is an FAQ section which covers all the basics. If you’re ready to get that party started, then register and enjoy the first deposit bonus at Spin Fiesta!